Using celebrities in advertisements has become very common nowadays. Be it for television, radio or newspaper advertisements or for product launches, brands are spending huge amounts of money on getting the biggest celebrities to advertise for them. Celebrities have a reach and a brand associated to them. 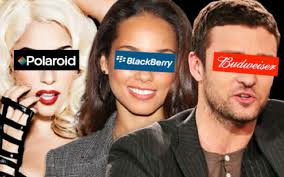 Companies want to connect their brand to the brand of these celebrities so that the reach and impact of their advertising messages becomes higher. When 2 brands combine, it has an additive effect. However, to ensure that the effect is maximum, the brands should be complementary so that a synergy can be created. If brands with different attributes combine, very less value is created. For example, I recently saw a popular Indian actress advertising for a residential real estate project. I simply don’t understand why. A good example of a brand nailing celebrity advertising is Puma. The brand signed an endorsement deal with the football legend, Pele, for the 1970 World Cup. First of all, this was a good fit as the brand and the celebrity have common attributes, sports and fitness. Puma also came up with an ingenious hack to get its message across. 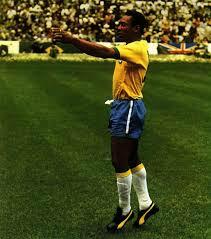 Part of their deal involved Pele intentionally asking for time at the beginning of every match to tie his shoelaces. When he did, the cameras would automatically pan down to see what he was doing and would end up highlighting his Puma shoes.